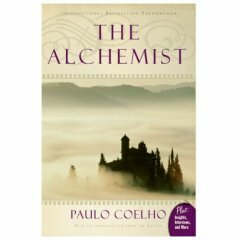 Pure joy and enchantment are the best ways to describe Paul Coelho's mystical novel of a Spanish shepherd boy seeking his destiny. In that same spirit narrator Yareli Arizmendi spins this marvelous tale of exotic adventure. The tale ranges from the countryside of Spain to the glittering oasis of the Egyptian desert. Arizmendi makes us feel the pain and joy of Santiago, the poor shepherd boy, as he tries to decide whether to seek a larger fortune or stay in the security of his job. Exuding softness and pathos, the narrator reminds that us most people who are unhappy failed to follow their dreams when young. 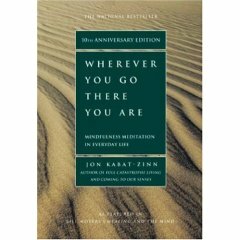 n his follow-up to Full Catastrophe Living--a book in which he presented basic meditation techniques as a way of reducing stress and healing from illness--here Jon Kabat-Zinn goes much more deeply into the practice of meditation for its own sake. To Kabat-Zinn, meditation is important because it brings about a state of "mindfulness," a condition of "being" rather than "doing" during which you pay attention to the moment rather than the past, the future, or the multitudinous distractions of modern life. In brief, rather poetic chapters, he describes different meditative practices and what they can do for the practitioner. The idea that meditation is "spiritual" is often confusing to people, Kabat-Zinn writes; he prefers to think of it as what you might call a workout for your consciousness. 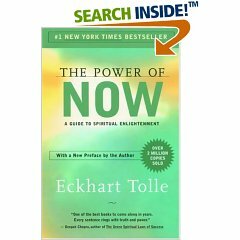 This book makes learning meditation remarkably easy (although practicing it is not). But it also makes it seem infinitely appealing. --Ben Kallen.